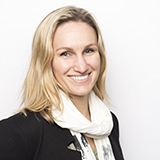 Born in Perth and raised in Albany, Western Australia, Tamara Peach completed high school at Carmel Adventist College in 1993 then spent two years working for a mortgage broking firm in Perth. The experience proved influential in her decision to enrol in the Bachelor of Business at Avondale. Her first job after graduating: Assistant Accountant for the Seventh-day Adventist Church in the South Pacific. Tamara married alumnus Michael Peach—he graduated a year before she—in 2000. The couple have four children—Liam, Anneka, Morgan and Harry. The family uprooted in 2005 to work for the Adventist Development and Relief Agency (ADRA) in Thailand—Michael as Programs Director and Tamara as Finance Advisor to the Tsunami Rehabilitation Program, overseeing the distribution of more than USD7 million in aid from international donors. 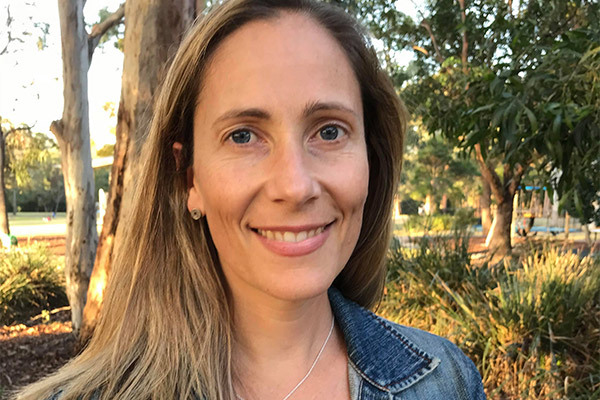 The family returned to Australia—to Brisbane—in 2008 and, a few years later, Tamara decided to change careers, following her dream into full-time study for a Bachelor of Midwifery. She graduated in 2013 and started work as a midwife in 2014. Tamara received an “Excellence in Preceptoring” award from Griffith University this year. It recognises her role in mentoring students on placements at Redlands Hospital. Tamara is a passionate mother, nurturing her children in their passion for high-level competitive swimming, and an avid runner, regularly participating in half marathons. The Class of 2008 honours Tamara Peach for her commitment to delivering quality humanitarian and human services. Register for Homecoming, the largest Avondale Alumni event of the year. All alumni and friends of Avondale, and their families, from all years and classes are welcome. The heart of Homecoming: the reunions for those in the honour years. Lynnette Lounsbury, an alumna of 1998, is editor of the Ytravel blog (www.avondale.edu.au/ytravel) and a lecturer in communication, film and history at Avondale College of Higher Education. A passionate storyteller, she is the author of the novels We At the Road Like Vultures (Inkerman & Blunt) and Afterworld (Allen & Unwin). She loves to travel, but between suitcases is happy to drink coffee in the sun on her home turf of Bronte Beach, Sydney.